“Buy it, Rig it, and Go” – That is the Humminbird 385ci Combo Kayak Edition. This slogan was used by Humminbird to announce their latest addition for 2010 to their well-known range of fishfinders. Humminbird now provides an easy and complete solution to equipping kayaks with a high-quality but compact fishfinder. You no longer have to fumble with bulky, hard to handle portable fishfinders or forgo the advantages of having your favorite fishing tool with you. Read on to get all the detail and technical information on the Humminbird 385ci Combo Kayak Edition. No more worrying about having the right mount for a transducer, or the correct battery or wiring configuration when rigging a kayak with a fish finder. Humminbird® now offers the kayak fishing enthusiast a complete fishfinder kit. 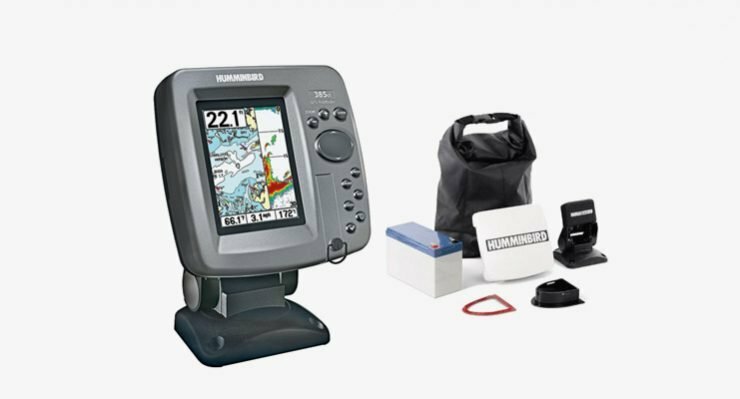 The Humminbird 385ci Combo Kayak Edition includes everything in one box that an angler needs to properly equip his or her kayak for a more rewarding fishing expedition. The 385ci Combo fishfinder features a built-in GPS antenna while the Humminbird Kayak package also include their complete transducer installation kit, a 12-volt (7 amp hour) battery that will last most of the day, battery charger, battery dry bag, quick-disconnect protective cap and unit cover. You no longer have to hunt around to try and find all the right equipment necessary to rig an appropriate fishfinder setup on your kayak. The Hummingbird 385ci Combo Kayak kit comes complete for easy installation. 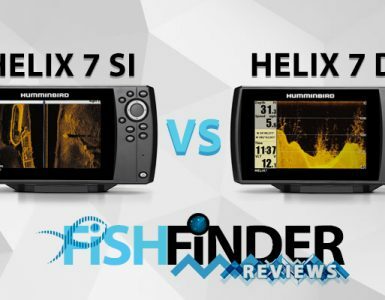 What Your Fishfinder Gives You? 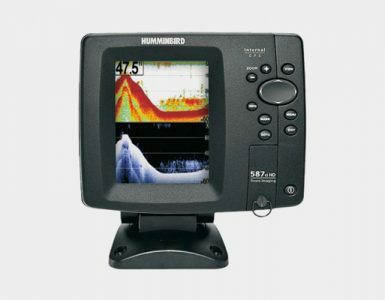 The Humminbird 385ci features Humminbird’s exclusive new SwitchFire Sonar which gives you two unique viewing options. In Clear Mode, SwitchFire the software filters through returns and display only fish and structure, you thus left with a clean, uncluttered screen. This mode works especially well in shallow and rough water, or to reduce undesired sonar noise. SwitchFire’s Max Mode unveils amazing detail that includes even the smallest subsurface objects, as well as thermoclines and water current. So, no matter what the conditions are like, you’ll be able to see if any fish worth stalking are hiding nearby. 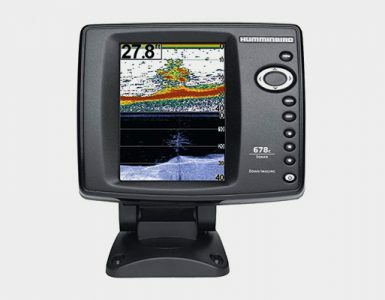 The Humminbird 385ci Combo fishfinder also includes cartography options never before available on a model of this size. In addition to the standard Humminbird UniMap cartography, the SD Card Slot on the 385ci Combo allows users to add optional Navionics® Gold, HotMaps and HotMaps Premium charts. Plus, with an SD card, sonar readings can be recorded and replayed at a later time to show drop-offs, channels or subsurface structure. Screen snapshots and waypoints can also be saved and managed by recording to the SD card. You can save all the important information for future use and get back on the spot without any trouble. Your Humminbird 385ci Combo Kayak edition will soon be your fishing buddy not to be left behind on any kayak fishing expedition.